River Cottage HQ, found on the Devon and Dorset border, is home to everything we do and is the base for our Cookery and Chefs’ School, unique dining experiences and wedding celebrations. We aim to teach and inspire people to grow, source and cook food in ways that enhance their lives, increase their well-being, and connect them more closely to natural, sustainable and ethical sources of food. Don’t try and please other people too much! Never forget that it’s your special day and no one else’s. 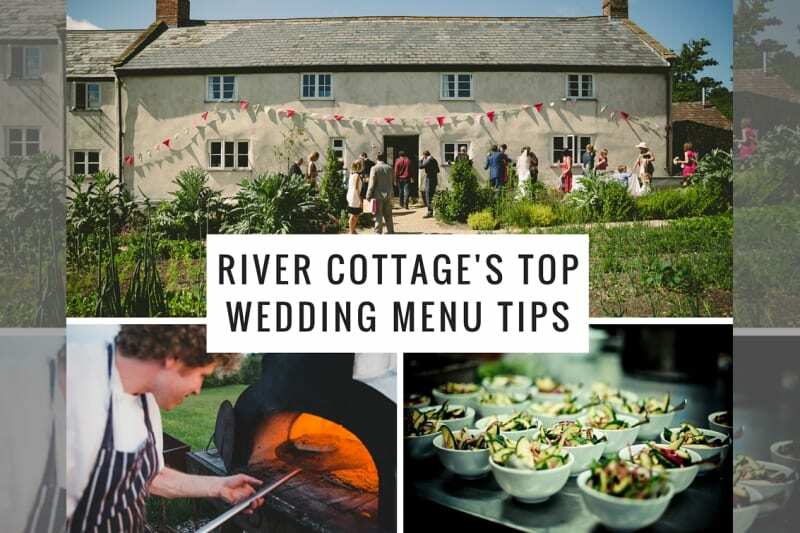 Make sure your favourite foods are featured, at River Cottage we design each wedding menu with the couple and when they can’t agree on a certain item we just put both on the menu. Have some sharing plates or a little theatre involved in your menu. 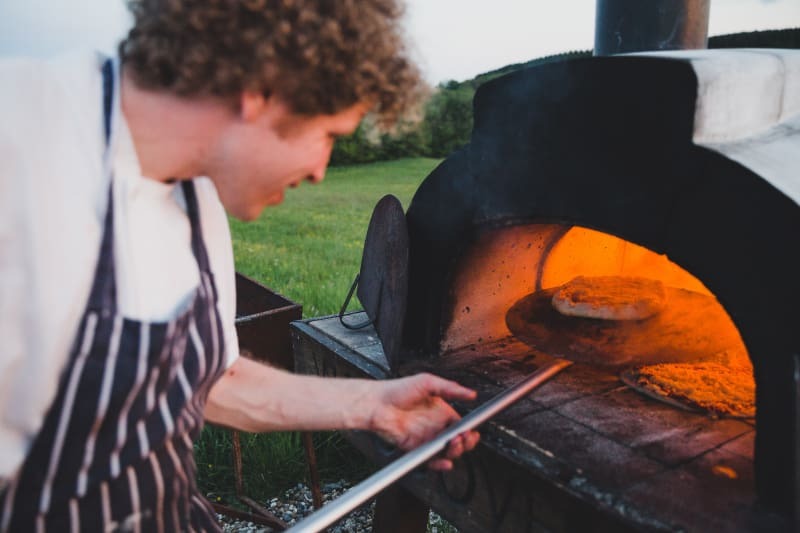 We have lovely outdoor cooking areas on the farm including our wood fired pizza oven which guest can gather around and design their own pizzas with the chefs. It helps raise the atmosphere and connect the guests with their location, and having lots of dishes down the table to share gives your guest who don’t know each other a convenient ice breaker creating a lovely buzz at the table. Put a good amount of trust in the chef designing the menu with you but also don’t be afraid to ask for the unusual! 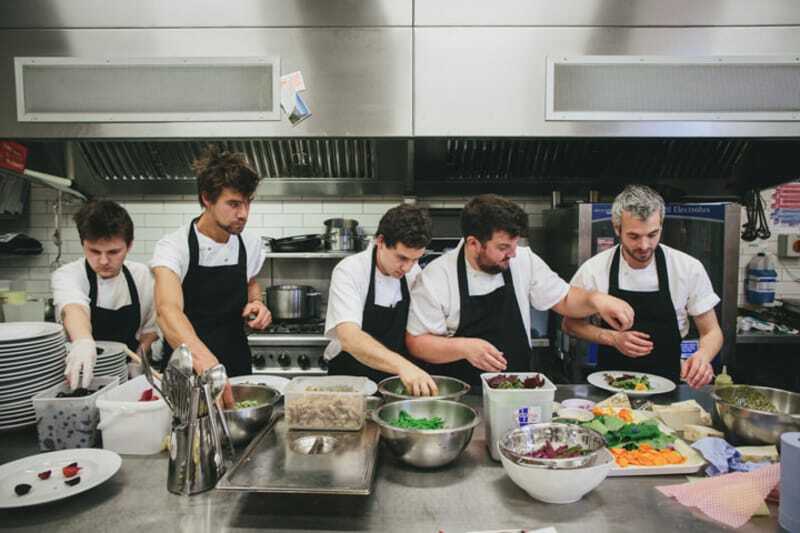 At River Cottage we have an incredibly talented brigade of chefs with a multitude of experience. 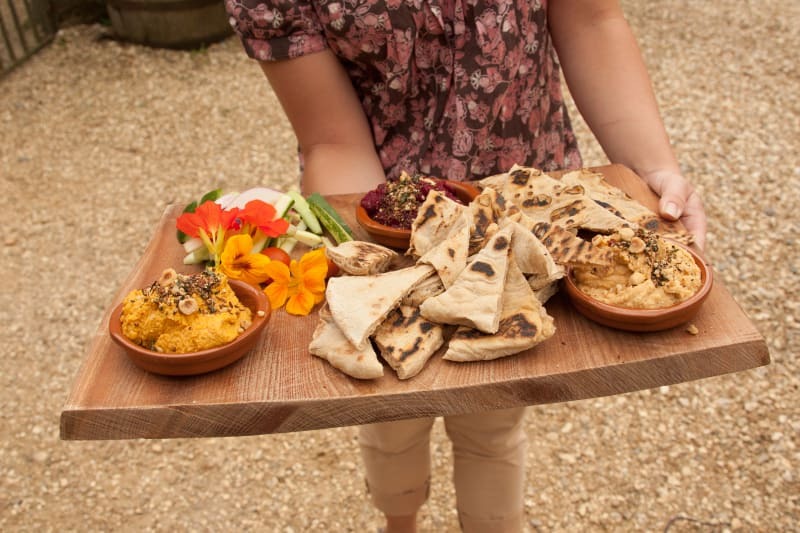 Although we specialise in local organic food, if you fancy something more unusual they can recreate more exotic food with ingredients from our own gardens, British food is a lot more versatile and exiting than people sometimes think. The food on arrival is essential not only are people starting to get hungry after the ceremony but it really sets the mood. 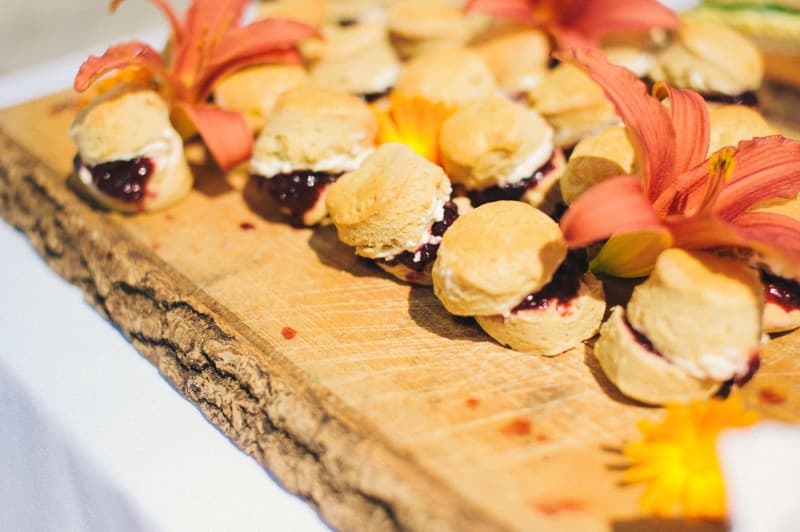 Although traditional canapes can fit the day sometimes it’s nice to break the mould by getting the BBQs fired up or having a more refined afternoon tea, giving everyone plenty of energy for the wellie wanging and afternoon games! Don’t forget to have something planned for the evening, it doesn’t need to be too involved but your guests will need something to keep them going. 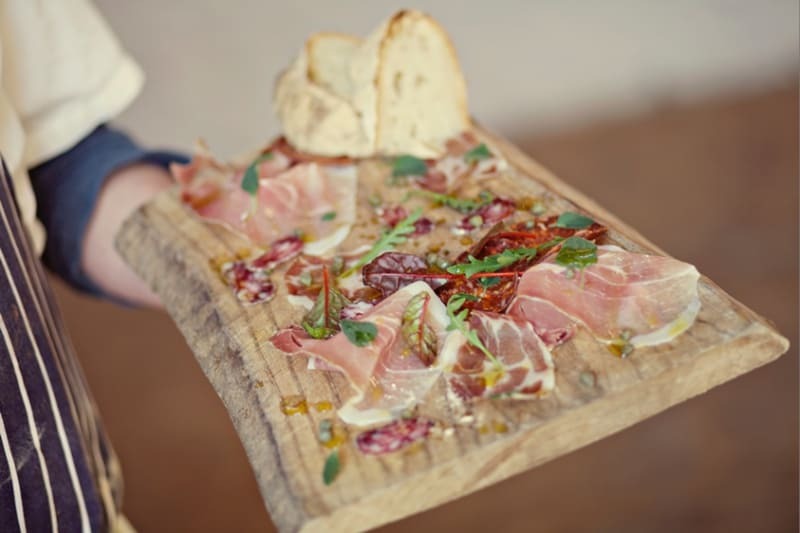 From wood fired pizzas to a slow cooked hog roast with soft organic rolls you can have a really memorable end to your special day. 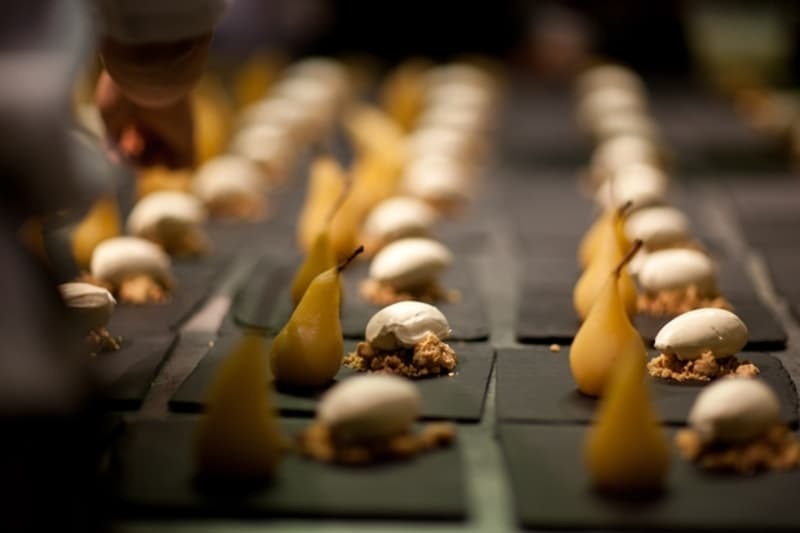 Want some of this gorgeous food at your own wedding? 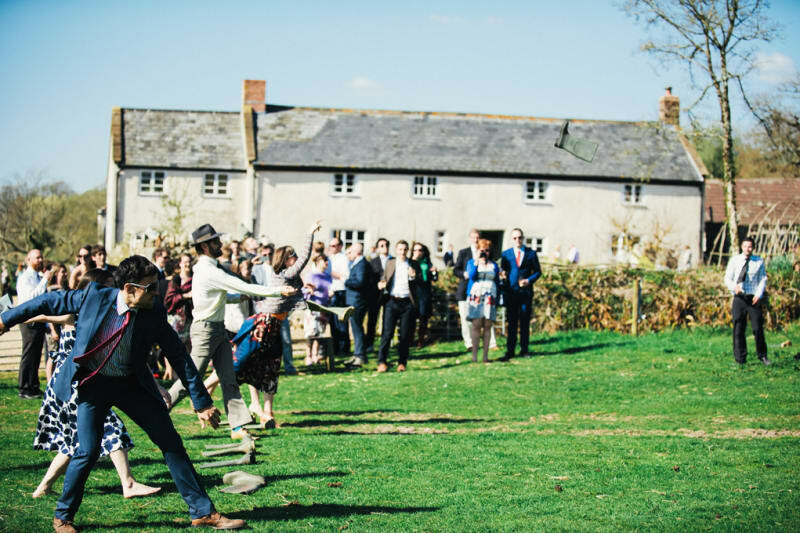 River Cottage is fully licensed to hold weddings and is (if you ask us) one of the most perfect venues for a beautiful country wedding! 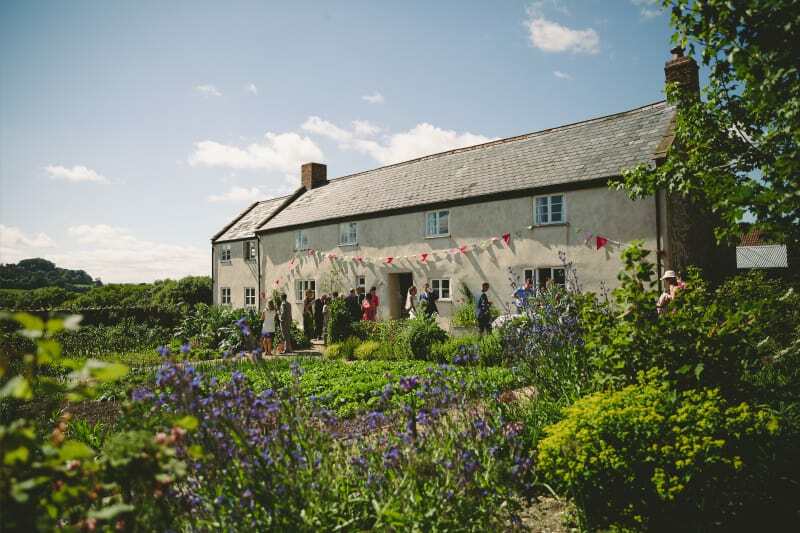 Tie the knot and celebrate one of the best days of your life at Hugh Fearnley-Whittingstall’s iconic River Cottage HQ, based in 65 acres of organic farmland and just a stone’s throw from the beautiful Jurassic Coast. 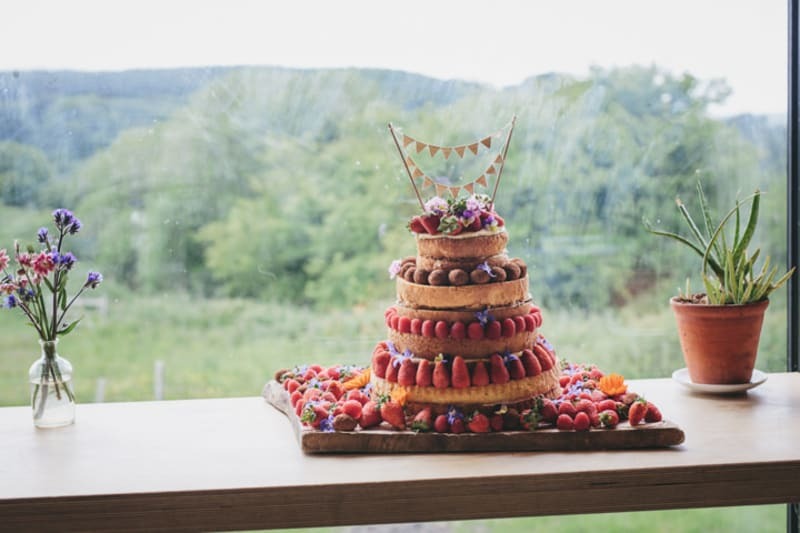 River Cottage is a unique wedding venue where the bride and groom share centre stage with the food. Couples design their menu with the River Cottage chefs, using the finest home grown, local and seasonal ingredients to wow their guests. 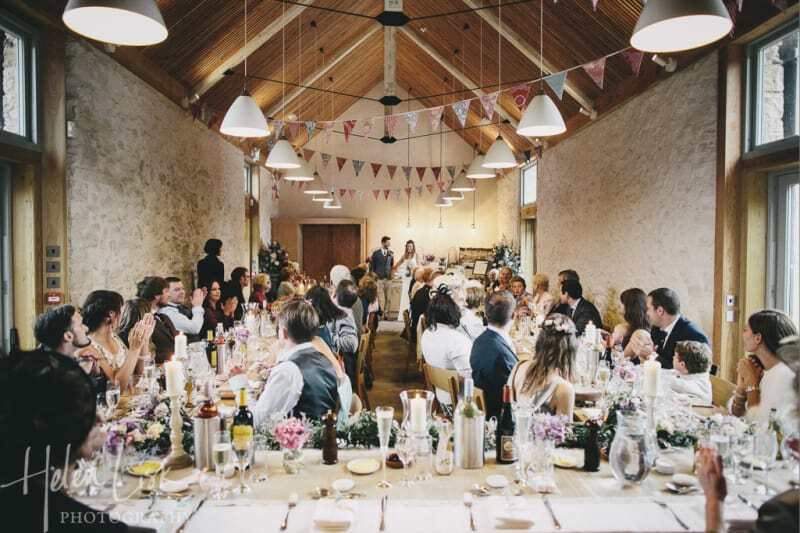 Fully licensed to conduct civil ceremonies and partnerships, couples can get hitched in Hugh’s famous farmhouse, beautifully refurbished barn with breath-taking views across the Axe Valley or walled garden. 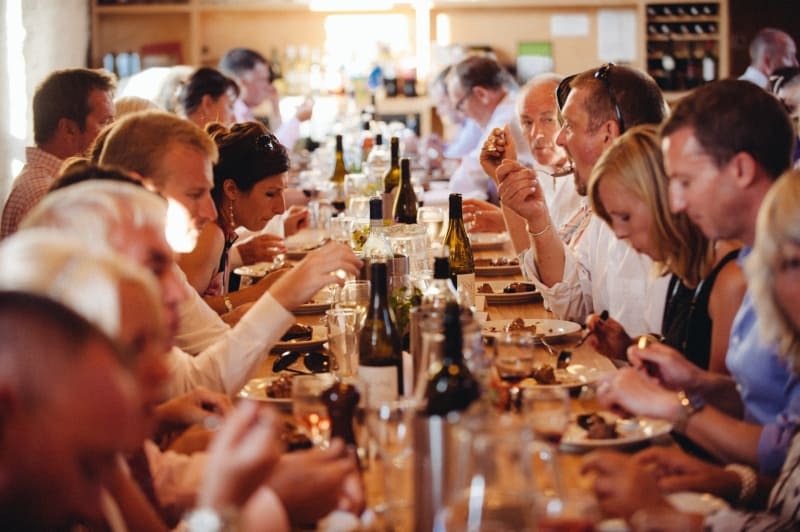 The barn is a glorious space any time of the year and can seat 70 people across two long banquet tables. During the summer months a further 30 can dine on the adjoining covered decking area. In the evening with tables cleared the maximum capacity is 120 with plenty of room to dance the night away. The walled garden is a gorgeous, tranquil environment for a blessing which takes place underneath a hazel arch woven in climbing sweet peas whilst guests sit on benches and straw bales to watch the happy couple. Have you fallen in love with the gorgeous River Cottage as much as we have? Be sure to check out their Bridebook profile and enquire today!